Please join us as we commission, pray for and send our BOLD team off on their ministry exchange to Fiji. They are going to Church of the Holy Cross in Dreketi, Vanua Levu and will be partnering with them in mission and ministry. 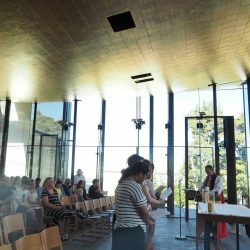 This service will be held on the Sunday before they go, and Bishop Ross will lead it in the Bishop Selwyn Chapel at the Cathedral (The best way to enter the chapel is from the carpark off Cathedral Place).